They say 24 hours is a long time in politics. But in geology, it’s the merest whisker. 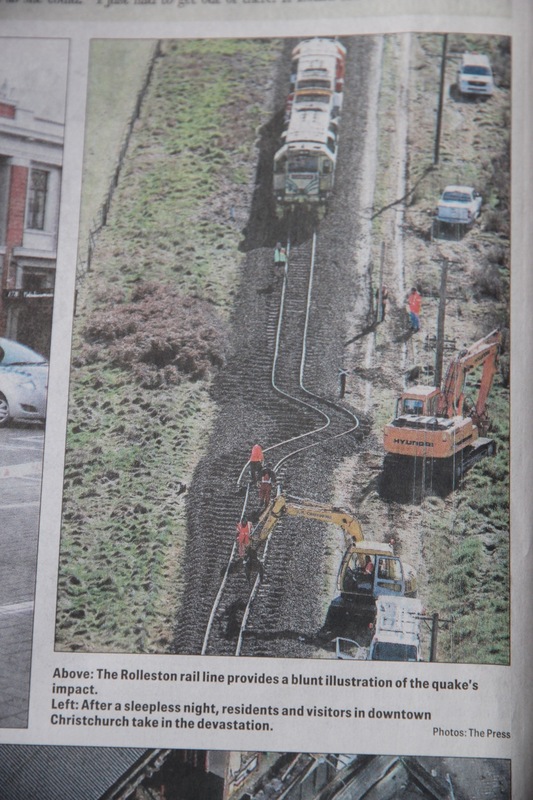 And that’s the margin by which we missed being in Christchurch during Saturday’s Canterbury earthquake. It was a whopper: 7.1 on the Richter scale, but shallow and therefore both damaging and significant. On Friday, having made the long drive from Canterbury to west of Nelson, we were exhausted. So we slept right through Saturday morning’s ‘quake. I seem to make a habit of doing that, which is disappointing for someone trained in earth science. During my student days I was benighted in the Blue Mountains of NSW and had to sleep in a tent on a gravel road, high in a remote part of the mountains. Overnight there was an earthquake, centred somewhere beneath the mountains. Amazingly I slept right through it. 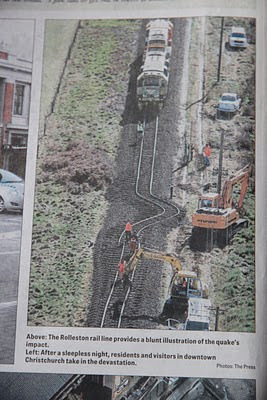 The only earthquake I’ve been conscious for was a Tasmanian “tiddler”. I was woken by what I took to be a huge possum thumping onto the roof. My sleepy brain registered that he must have been a sumo-sized possum, because the bed seemed to shake. But it wasn’t until the next morning that I heard on the radio that the “possum” had in fact been an earthquake. 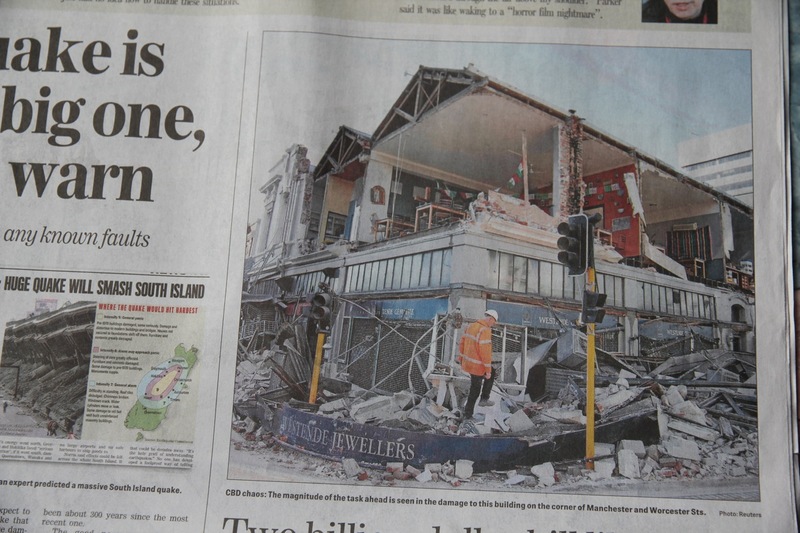 As for the Christchurch quake, we only learned about it via a mobile call from one of our daughters in Australia. Much to their chagrin, New Zealanders find themselves on the edge of the tectonic plate known as the Australian plate. It was this that had pushed past the Pacific plate rather more vigorously than is polite. The usual slippage is something like 4mm per year, whereas this one was up to 5 metres. Two people were seriously injured, and many others received minor injuries. Many others reported to hospital with apparent heart attacks. But amazingly, at the time of writing, no fatalities have been reported. Indeed with typical Kiwi humour, neighbours in the farming districts were light-heartedly comparing how much land they had lost or gained as a result of the earth movements. And one farmer on typical flat plains country reckoned he could now boast “rolling hills”. But the humour masks a nervousness that the earth may yet have more to deliver, as it did with fatal consequences in 1931. 256 people were killed by a 7.8 magnitude earthquake centred on the North Island city of Napier. And there have been many others killed before and since. 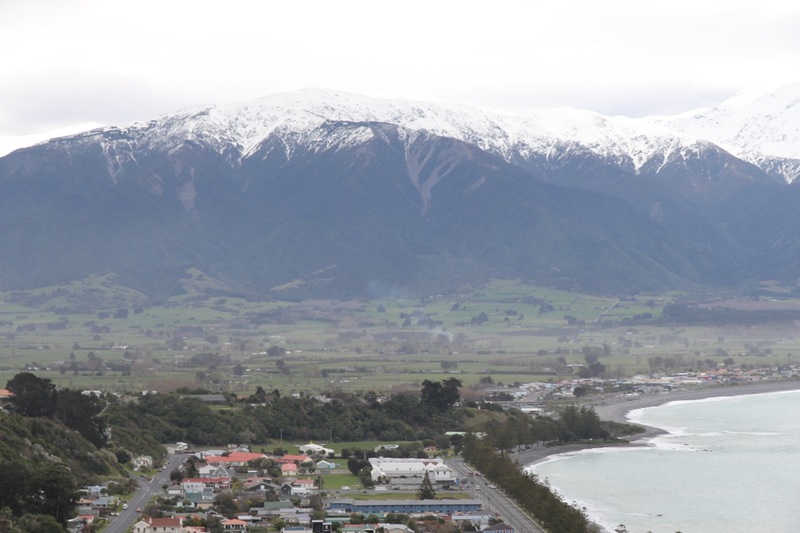 Living at the pointy end of tectonic plates, where earthquakes, volcanic activity, landslips and avalanches are real threats, has created a certain level of uncertainty about life among New Zealanders. Perhaps they recognise the temporariness of life in a way that Australians don’t, living as we do on a stable, old and seemingly eternal continent. Tonight the South Island is expecting a stormy change, with wind gusts forecast to reach 130km/hour. You’ve gotta love this place! Hopefully I’ll report more once we get through this next challenge.